MIAMI-DADE COUNTY, Fla. - Four people, including two teenage girls, were wounded in a shooting during a block party Sunday night in southwest Miami-Dade County, police said. The shooting occurred shortly after 11 p.m. at 26133 SW 139th Ave. Witnesses told Local 10 News that the party was to celebrate a girl's 15th birthday. Miami-Dade police Detective Alvaro Zabaleta said a group of people were standing in the parking lot when someone opened fire, shooting two adults and two teens. "Then all you see is people shooting, doing all that, people running. I see people running, falling down," Exzavier Goodman said. 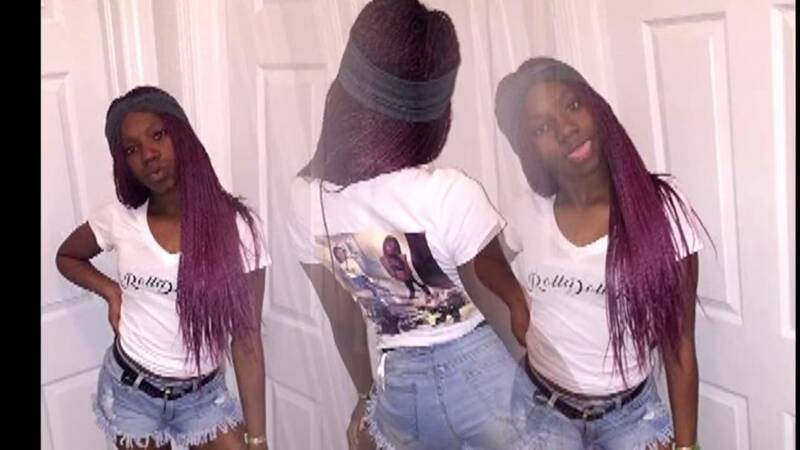 Takira Callaway, 15, was injured in a shooting at a block party in southwest Miami-Dade. Caridad Rivera lives in the complex right next to where the party took place. She said she heard gunshot after gunshot ring out and a stray bullet even pierced her window. "I could have got shot. It went through the window," she said. Zabaleta said two men, a 17-year-old girl and a 15-year-old girl were injured in the shooting. Some people in attendance at the party identified one of the girls who was shot as Takira Callaway. They said the 15-year-old was shot twice, while the older girl, identified only as Kearra, was shot in the leg. All of the victims were taken to area hospitals in stable condition. Callaway later posted photos of her wounds on social media, writing, "Thank you, God, I'm good." Her friends said she has already been released from the hospital. A motive for the shooting was not immediately known, however, police believe the shooter was a man who attended the party.